Here is the third and last breakfast recipe brought to us but the lovely Lyndsay from the food blog I Eat My Peas (we shared her Quinoa Oats and Cheesy Egg Tacos earlier this week). 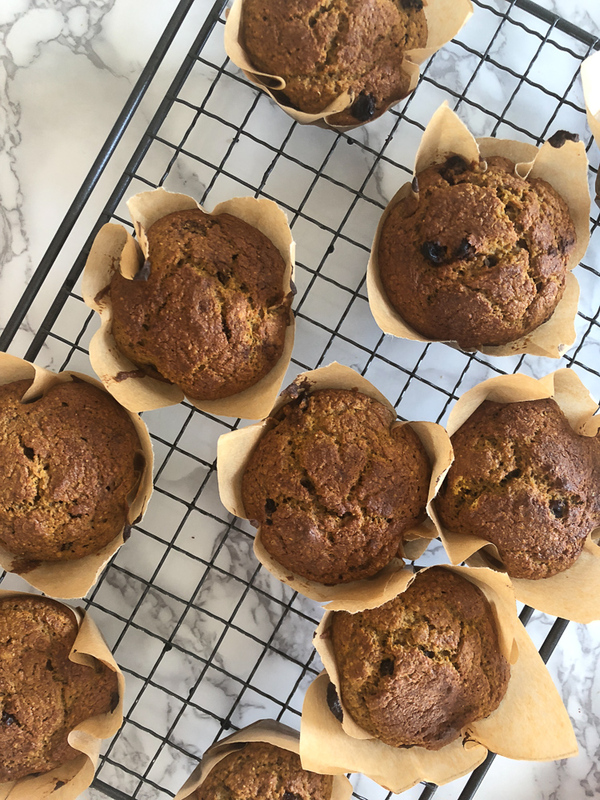 These Mix’n’Match Morning Muffins are a must make family recipe Lyndsay claims, so we’ll definitely be making them this weekend. 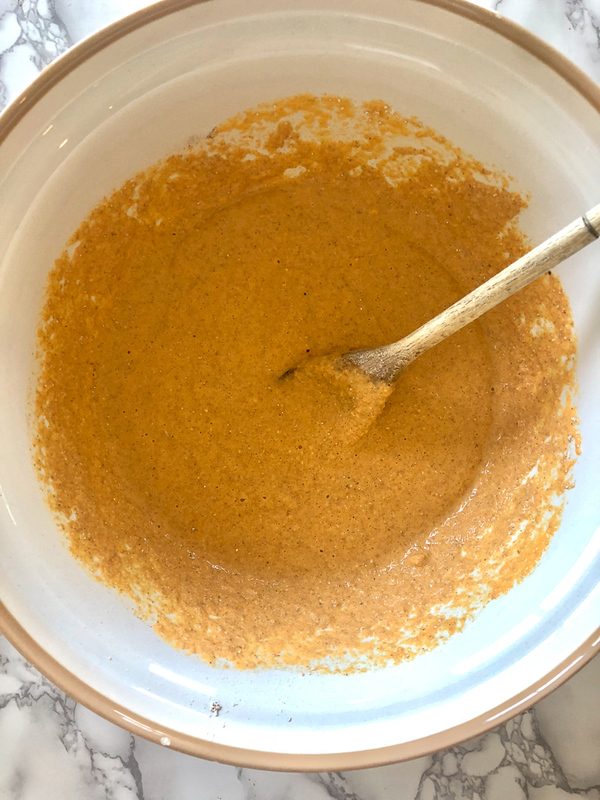 I like the way the recipe is so flexible — it works with whatever is in season and you have in your fridge. So good! Thanks again, Lyndsay, for sharing your wonderful recipes with us! 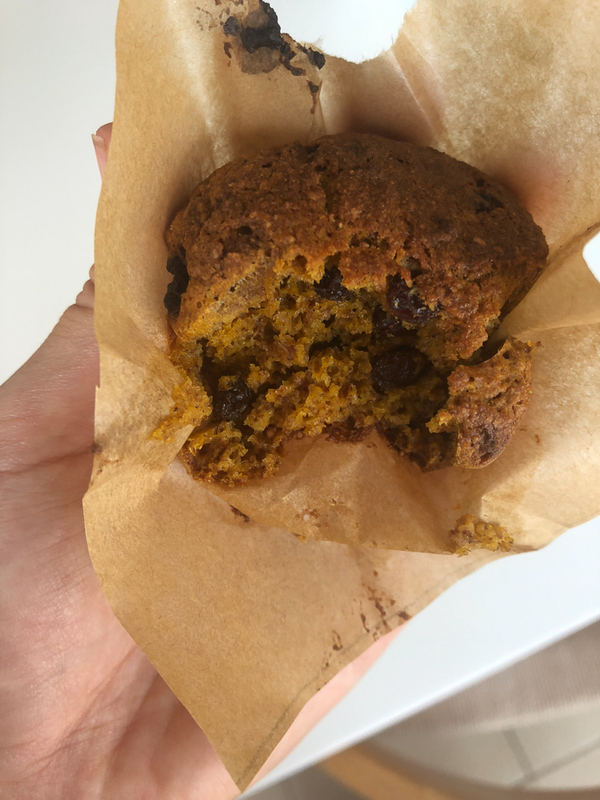 Mix ‘n ‘Match morning MuffinsThis recipe is a must have for any busy family! You can use a whole host of different fruit and vegetable combinations depending on what you have leftover and they are always delicious. 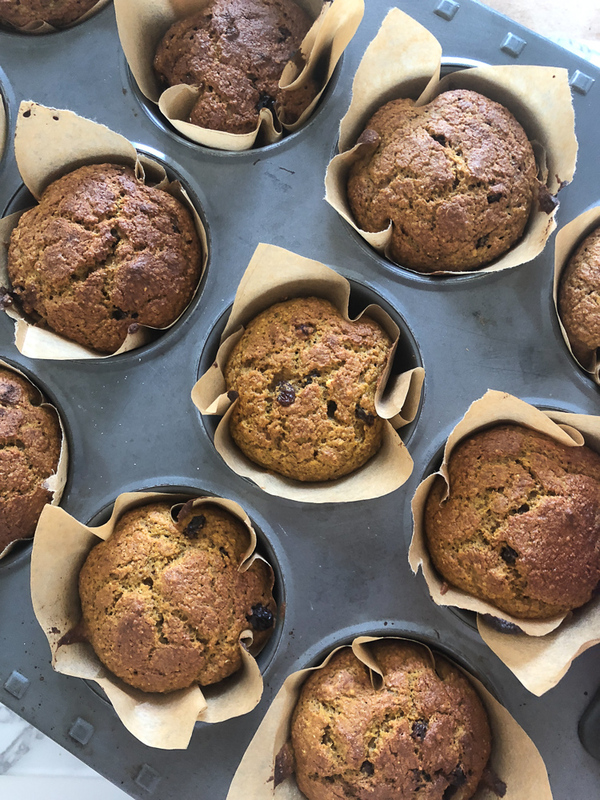 We love them for breakfast or as a mid afternoon snack or quite frankly — straight out of the oven! 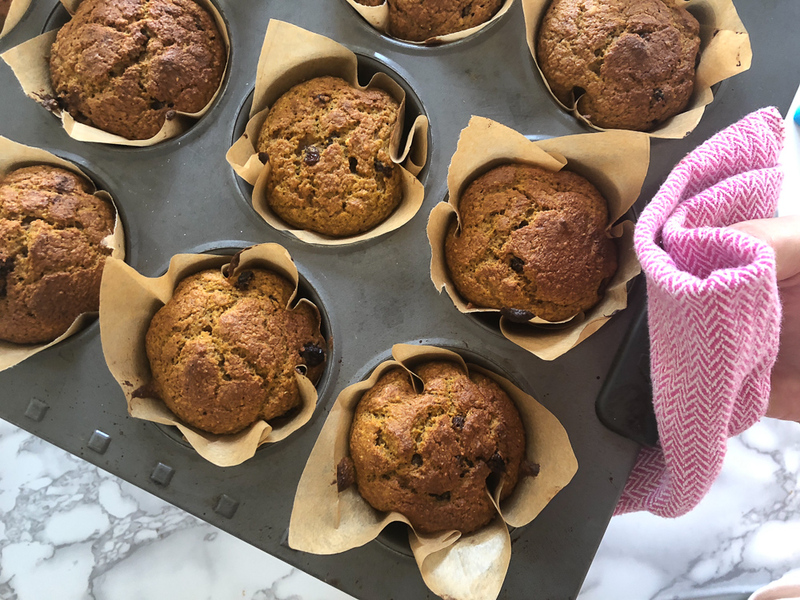 There is only a little syrup in the recipe, so much of the sweetness in these muffins comes from the natural sweetness of the fruit and vegetables. I’ve been making them since my eldest was 9 months and they are still a firm favourite. In a large bowl add the flour, baking powder, bicarbonate of soda, cinnamon and dried fruit. Mix well. Add the remaining ingredients to a food processor (or blender) and blitz to a rough puree. 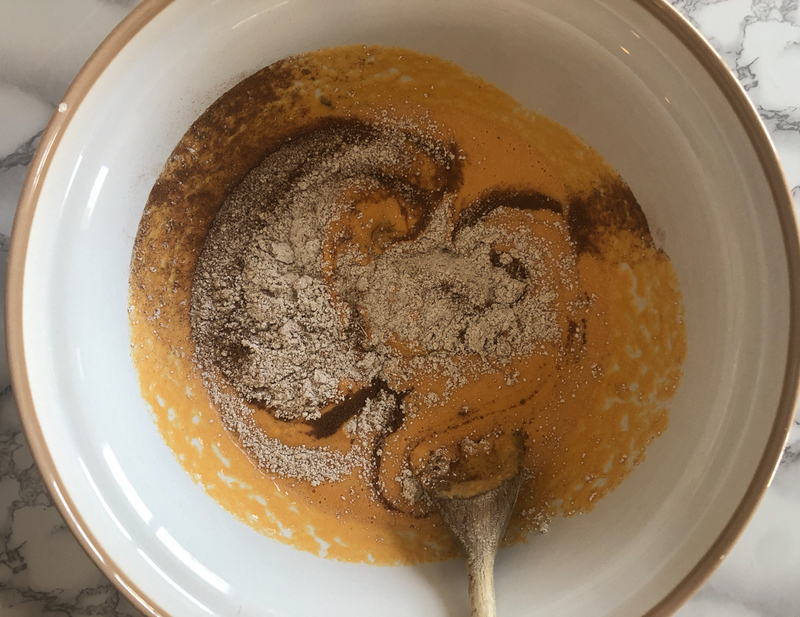 Pour the liquid into the dry ingredients and stir everything together until evenly combined. 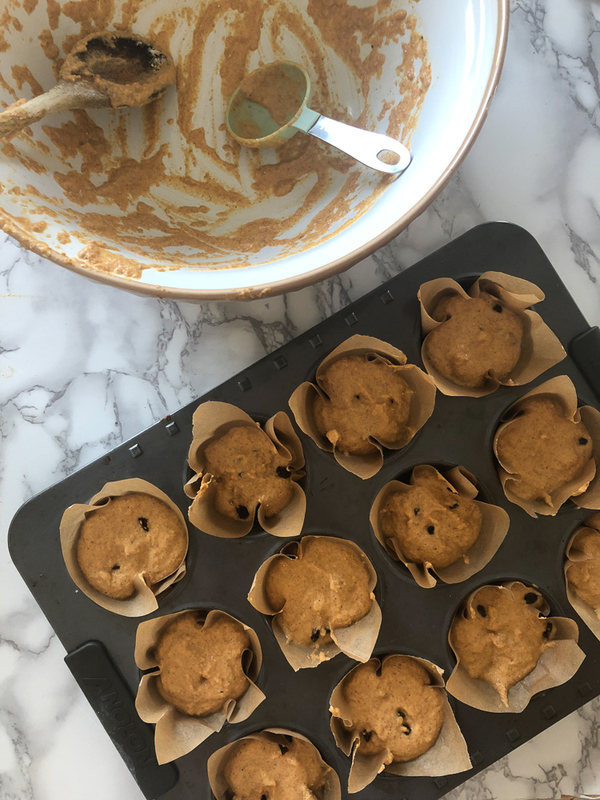 Place 2 heaped tablespoons of mixture into each lined muffin tin and bake for 20-25 minutes or until risen, golden and they bounce back when touched. Remove and allow to cool before serving. These look gorgeous. Wonder if I could sub molasses for the maple syrup.